Listen Up Cleveland is back this week! In studio I’m with super talented R&B singer Alvin Frazier! Seriously, he’s amazing. Was such a pleasure to have him in studio. He even treats us to a small performance and we take a look at his brand new music video! 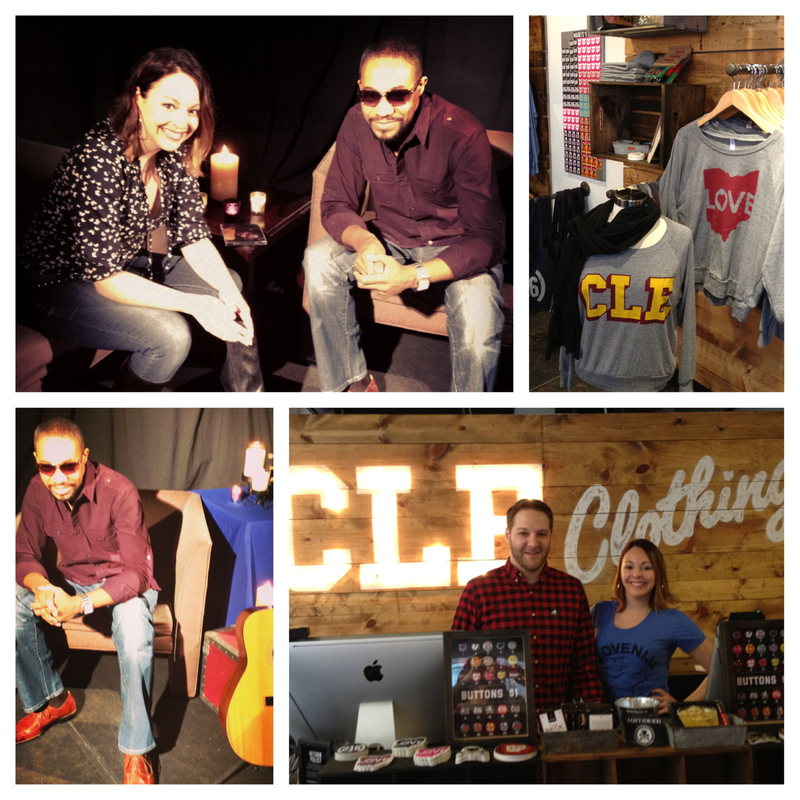 Then its on to CLE Clothing Co. on E.4th street and Euclid in Downtown Cleveland! We’ll show you the latest in cool Cleveland gear to wear and enjoy in your home! So tune in to TV20 all this week at 6am, 11:30am, 5pm and 8:30pm! Also on TV20 you can catch me during the Weekly News Wrap-Up at 7am, noon and 6pm with what’s happening in Arts & Entertainment in Cleveland. Previous Post Vote for the Burning River Ramblers!